An interactive thriller adventure game developed by studio Quantic Dream (Fahrenheit, Omikron: The Nomad Soul). The player controls several seemingly unrelated characters, each with their own storylines and motivations. How the story develops depends greatly on the decisions made by the player as all plots intertwine until they meet at the game's finale. What’s characteristic for the game is its focus on matters of morality and ethics. The developers took extra care to reflect the various types of human behavior and feelings of the characters in as realistic a way as possible. It can be noticed for example in great facial expressions. The game features high quality graphics with spectacular explosions and realistic weather conditions. It also features a pretty grim vibe that successfully builds an atmosphere of sadness and hopelessness. The third installment in a series of cyberpunk action games with RPG elements. The franchise was launched in the year 2000 by Ion Storm, led at the time by Warren Spector. The reactivation of the series was made possible by the Eidos Montreal studio. Story-wise, the game is a prequel to the original series, taking us back to the year 2027, when Sarif Industies only begins to explore the possibilities of biomechanical augmentation of the human body. 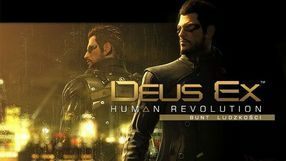 You assume the role of Adam Jensen, the company's chief of security, who gets seriously injured when an unidentified armed force suddenly attack the company HQ. Saved by a series of surgeries and mechanical implants, he decides to investigate the puzzling truth behind the events. Gameplay boils down to combat, exploration, and interactions with the environment. Of course, there are the also series’ landmark features, such as sneaking and hacking mini-games. Depending on the augmentations you choose to implant in the hero’s body and the skills they provide, each in-game problem can be solved in several different ways. 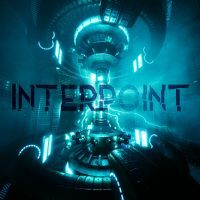 A thriller movie-inspired action adventure game. 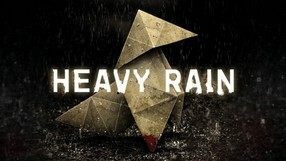 The game was developed by French studio Quantic Dream, creators of such hits as Heavy Rain and Fahrenheit. 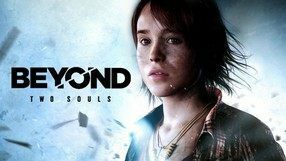 The plot of Beyond: Two Souls shows fifteen years of life of Jodie Holmes (who is modeled after and voice acted by Ellen Page, Oscar nominee). Since birth, the woman was connected to Aiden, an incorporeal creature that ventured into our world. The game is considered an “interactive drama” as it focuses mostly on storytelling, moral choices, and the cinematic experience. The developers from Quantic Dream took care to deliver high-quality, photorealistic graphics, sound effects, and animations created using the motion capture technology. A first-person adventure game created by White Paper Games - an independent British studio. The story involves politics to a large extent, and is set in England of the 1980s. 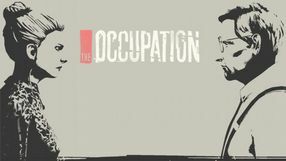 The player takes on the role of a journalist who is investigating the circumstances of passing a controversial bill that reduces the citizens' freedoms. For the most part, the player explores the in-game locations and solves puzzles. The game utilizes the Unreal Engine 4, which allowed for the visuals to be suggestive and atmospheric. A psychological first-person horror from the Polish developer studio Bloober Team, known best for another horror game, entitled Layers of Fear. Observer is set in a cyberpunk universe, in Cracow of 2048. In the game you play as Daniel Lazarski (starred by Rutger Hauer, known from the film Blade Runner), a detective able to hack into people’s minds. The game’s story starts when the main hero gets a letter from his missing son, who turns out to be a high-ranking engineer working for a powerful corporation. 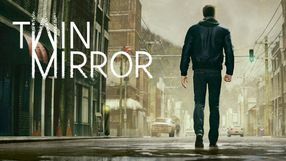 The protagonist picks up an investigation that takes him to the slums of Cracow and forces him to relive dark memories and nightmares of both criminals and their victims. 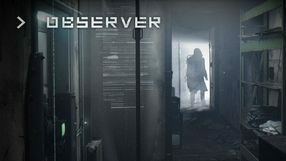 When it comes to gameplay, Observer is a first-person adventure game with survival horror mechanics. Most of the time the player explores grim locations and interacts with characters encountered on the way. An important aspect of gameplay are sequences in which the protagonist hacks into the minds of suspects and becomes part of their worst nightmares. 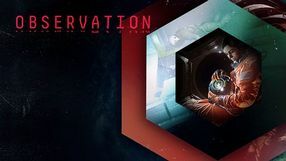 Unusual adventure game, in which we play the artificial intelligence SAM, dealing with the service of the station orbiting the ground. The production was made by No Code studio, and it was released by Devolver Digital company. An cooperative adventure detective thriller game developed by Supermassive Games. 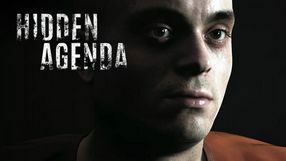 Hidden Agenda is based on popular movies and TV series of this genre. It tells the story of two female protagonists: a policewoman and a district attorney who are on the track of a serial killer. Up to five players can participate in the game, although it is also possible to play the title alone. All players are using a special phone app called PlayLink. By using the action cards displayed on the smartphone and by playing according to the game’s instructions, the players are influencing the whole plot by deciding the fate of the protagonists and the victims of the killer. The choices of the group determine who will die and who will survive. The title features a large variety of different endings. 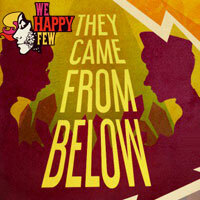 Roger & James in: They Came from Below! is the first addition to the We Happy Few action adventure game by Compulsion Games studio. It focuses on the adventures of two twisted characters known from the "stand": Roger and James. 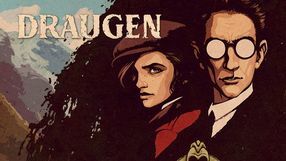 Draugen is an FPP survival horror adventure game, set in the early 1920s in eastern Norway. You play as an American photographer and researcher and discover the dark secrets of the reclusive fishermen community. The game was developed by Red Thread Games, founded by Ragnar Tornquist. An indie FPP adventure game and the debut production of the American Campo Santo studio. The team comprises of veteran developers, previously working on such titles as The Walking Dead, Mark of the Ninja, BioShock 2, and Brutal Legend. 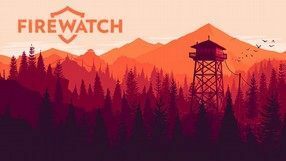 The story of Firewatch takes place in an enormous forest in the American state of Wyoming, where our hero is trying to escape his day-to-day problems by becoming a ranger. This seemingly calm profession turns into an extremely complicated one, when various unexplainable events take place in the area that our character is charged with patrolling. The incidents are directly connected to our hero’s boss – Delilah, with whom we constantly keep in touch via radio. Building up relations with our superior is one of the key aspects of the game, as she is the only NPC featured in the production. The gameplay revolves exclusively around the single player mode; the popular Unity engine powers the game’s visuals. Featuring paranormal mystery/thriller esthetics, a third-person action-adventure game by Quantic Dream studio. The plot of Indigo Prophecy – perhaps better known as Fahrenheit - is set in New York City in year 2009. The city is witness to a series of inexplicably violent acts of murder committed by seemingly ordinary, lawful citizens. The action is presented from the point of view of two separate characters. One of them is Lucas Kane who experiences the mysterious event first hand as he kills a complete stranger in a restaurant's restroom. Haunted by strange visions, he decides to find out what is really happening. The other character is Lieutenant Carla Valenti who, along with her life partner Sergeant Tyler Miles, investigates the case. In the course of the game we will visit various locations, speak to other characters, and fight. What is characteristic for Indigo Prophecy is the dark, shrouded in mystery plot and the opportunity to solve the puzzle while playing either as the hunter, or the hunted. An action adventure game in which we play the role of a detective conducting complex criminal investigations. 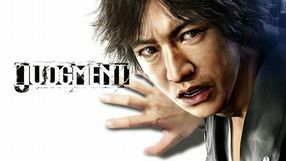 Project JUDGE was created by the authors of the popular Yakuza series, i.e. Ryu Ga Gotoku Studio. As a former lawyer of Takayuki Yagami, we deal with the prosecution of criminals. A first-person perspective adventure game that combines elements of spy movies and horror. It is the first large game developed by the Polish studio Jujubee known mostly for its futuristic racing series Flashout. 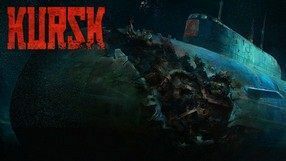 The story of the game focuses on the mysterious disaster of the Russian submarine K-141 Kursk which sank during the summer of 2000 on the Barents Sea. It was never determined what caused the incident. The player’s objective in the game is to discover what actually happened on the submarine and caused the death of more than one hundred members of the crew. The gameplay mechanics are similar to Alien: Isolation and the game focuses mostly on storytelling. The game has many spy plots and horror elements. The mysterious history of the Kursk submarine and suggestive tone of the production makes it very atmospheric. Twin Mirror is a non-linear adventure game set in a mysterious American town. The game’s protagonist loses his memories after brutal events of a single night and tries to learn what happened. This requires an investigation both in a real world and the character’s own mind. A detective adventure game from the visual novel genre. It was developed by Japan studio Spike Chunsoft. 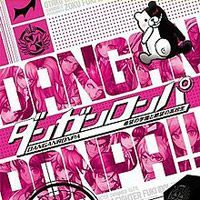 The main protagonist of Danganronpa: Trigger Happy Havoc, Naegi Makoto, is a teenager who starts his education in an elite high school. In contrast to his colleagues, he has no remarkable achievements and he was accepted to the school by winning a lottery. 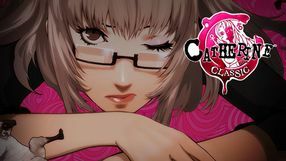 Soon after the school year starts, Makoto and a group of other students are trapped inside the school building and a digitally-controlled mascot informs them that, in order to escape from the trap, one of them must murder someone else in such way that it will be impossible to find out who is guilty. The game is divided into three separate phases. First the player speaks with selected students, builds relations and learns interesting facts. When the murder happens, the player is tasked with gathering evidence and testimonies. Finally the action moves to a court room where during a trial one must find out who the murderer is through a series of minigames. A 2D adventure game inspired by supernatural horrors, developed by Night School Studio, a debuting team founded by the former workers of Telltale Games. We take on the role of a girl named Alex, who is about to graduate middle school and to celebrate that, she travels with a group of friends to an island that has been the students’ customary place to say their farewells. 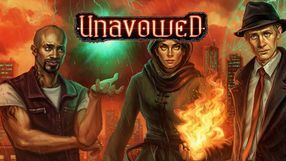 As it turns out, during the party Alex and her companions have accidentally opened a gateway to another dimension, and the peace of teenagers is interrupted by increasingly strange phenomena, such as unnatural sounds and specters. Since a ghost's presence can’t always be detected with the naked eye, the heroine has to resort to a special radio that, after finding the proper wave frequency, helps her prepare for the possible attack in advance. 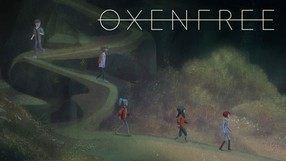 The dark atmosphere of Oxenfree is complemented by climatic graphics, employing common horror movie filters, as well as an ominous soundtrack. 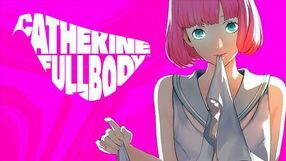 A sequel to the detective adventure visual novel released in 2010 by Spike Chunsoft. 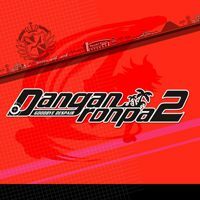 In Danganronpa 2: Goodbye Despair the player assumes the role of a completely new protagonist named Hajime Hinata. He is accepted to an elite high school despite the fact that he cannot remember what he did to earn that honor. During one of the school trips the class of the protagonist is imprisoned on a tropical island. In order to escape, the students must murder one of their friends and avoid being caught by their colleagues. The gameplay mechanics are based on the same principles as the original game and they are split into three separate phases, in which one must first participate in conversations, then gather testimonies and evidence in the murder case, and finally go to a trial and type the murderer. 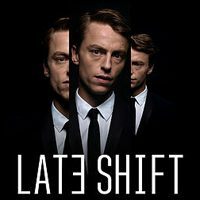 An adventure game in the form of an interactive FMV thriller, developed by the Swiss team at CtrlMovie and directed by Tobias Weber; the script on the other hand, was written by Michael Robert Johnson. Though the game debuted on mobile devices, it also came out for PC and consoles a year later. Matt, the protagonist, is a young student of mathematics, who tries to make some money as a car park guard. He gets charged with stealing Chinese porcelain from an auction house in London. Trying to escape the punishment from the influential owners of the stolen valuables, the protagonist has to prove his innocence by any means necessary. The experience is based on watching story sequences and making various decisions - the player's choices influence the story and determine which of the seven possible endings will appear on the screen. The game is made of about 4 hours of video material in Full-HD quality and its visuals represent the standards of modern-day interactive movies. First person adventure game with elements of psychological horror. While playing, we play as a scientist working for a secret organization that proved the existence of parallel worlds. A classic adventure game produced by Microids, which is responsible for the creation of the "Siberia" series. "Still Life" presents a script that could be successfully used to produce a classic action film. Steins;Gate is a visual novel sci-fi adventure game. Players follow a first year student at a Tokyo university and a novice inventor who follows a conspiracy related to one of his gadgets. Dark, first person psychological thriller, in which the player has the opportunity to experience an abnormal level of mental tension by tracking down serial murderers. In our investigation we use our own instincts, court procedures, sophisticated investigative tools, and in many cases, hand to hand combat skills. 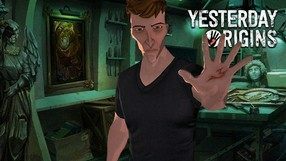 A thriller adventure game by Wadjet Eye Games. You play as a person, who for the last six months was possessed by a demon using their body to wreak havoc in New York. The protagonist was exorcised by the eponymous organization, which fights dark forces, and decides to join it, having lost their previous life, including their home, family, and friends. During the game, you explore locations, talk to NPCs, gather useful items and solve puzzles. Your chosen biography and in-game decisions shape the story, as does your supporting partner, the choice of which can be difficult, as the five available companions have their own unique personalities and abilities. The main designer of the game is Dave Gilbert, known from the Blackwell series, and the story was written by Jennifer Helper, the writer of e.g. the first two installments of the Dragon Age series. A typical point-and-click adventure game and a continuation to 2012's Yesterday. Yesterday Origins was developed by the creators of the original game - the Spanish Pendulo Studios. Again, the player takes on the role of John Yesterday; as for the plot, it was divided into two timelines. Thus the player, familiar with present-day events, is taken back to the era of the Spanish Inquisition. In terms of game mechanics, the game follows the pattern of its predecessor. The player explores the in-game locations, talks to NPCs, gathers items and solves various puzzles for the most part. Contrary to the first installment however, Yesterday Origins is a fully 3D title, though the creators have once again managed to convey the characteristic atmosphere of the original game through application of the specific, cartoonish art style.